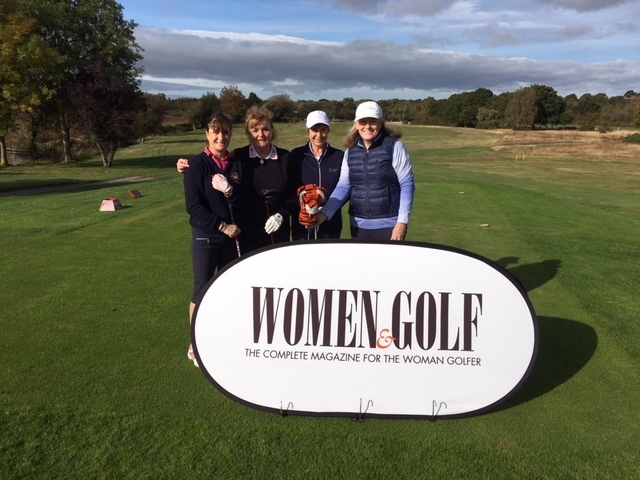 On Monday 8th October, Women & Golf magazine held an event at the challenging par 75 Lindrick Golf Club, Worksop and eight ladies from Melton Mowbray decided to join in the fun. The day was busy and included a presentation by Di Horsley, Chairman of England Golf Trust, a competitive round of golf with individual and team winners and a rolling champagne reception and food in the Ryder Cup Room. Our Lady Captain, Sandie Normanton, won the individual prize and came away with a new Ping bag and a bottle of bubbly! !